Slow Factory: Don't we want honest labeling on bicycle helmets? Bike helmets are getting more colourful these days. 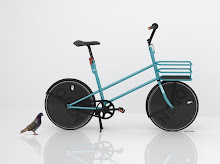 Perhaps they are also better designed, but the fact remains that they are not designed for typical crashes between a cyclist and a motor vehicle, when the latter is operating at typical speeds (above 30 km/h or 20 mph). They are tested to simulate a cyclist falling without the involvement of a motor vehicle, and very slowly, at less than 15 mph. I would bet, however, than most bike helmet users do think they are tested and make a big difference in a crash with a car. It is clear that helmet producers are not interested in pro-actively communicating information about this design limitation to their customers. I am pro-choice on helmets, for helmet freedom, and if wearing a helmet gets you on a bike that's great, but correct information is just as important as subjective safety. If you are interested in helping research what helmet users really think, and pressuring the helmet producers to help create more honest labeling and marketing, please comment here or write me at edelman(at)greenidea.eu. 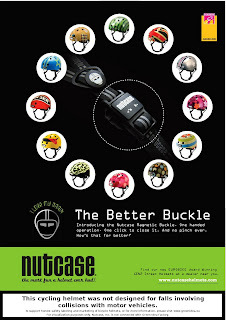 For more information on bicycle helmets see the website of the Bicycle Helmet Research Foundation. To join the Facebook (Fan) Page "No Mandatory Bike Helmets at Velo-city Global 2012 in Vancouver" click here. You are free to download this image, print and distribute. You may also download a smaller PDF (should print okay in A4 or 8.5 x 11 with white borders) at this link. We need to pressure governments to require honest labelling, as well as helmet producers. Politicians who understand the limitations of helmets, the problems of risk compensation, and that reduced cycling increases injury rages because of reduced safety in numbers, will not support helmet laws. Perhaps we could go even further and suggest health messages on bikes – regular cycling can benefit the environment, improve health and reduce your risk of brain damage from strokes and heart disease! The trading standards should include warnings at the point of sale and in advertisements or promotional material for helmets. 2. Helmets are designed to protect the head from low impact injury at 12 mph or less. In fatal accidents the force of impact is considered to be so significant that generally most protection would fail. 3 Accidental hanging to young children can occur while engaging in activities other than bicycle riding, helmets should be removed when not cycling. 4 Neck injuries (usually low in number) may increase by an estimated 36%. 5 Helmets can easily break due to being made of low strength material. 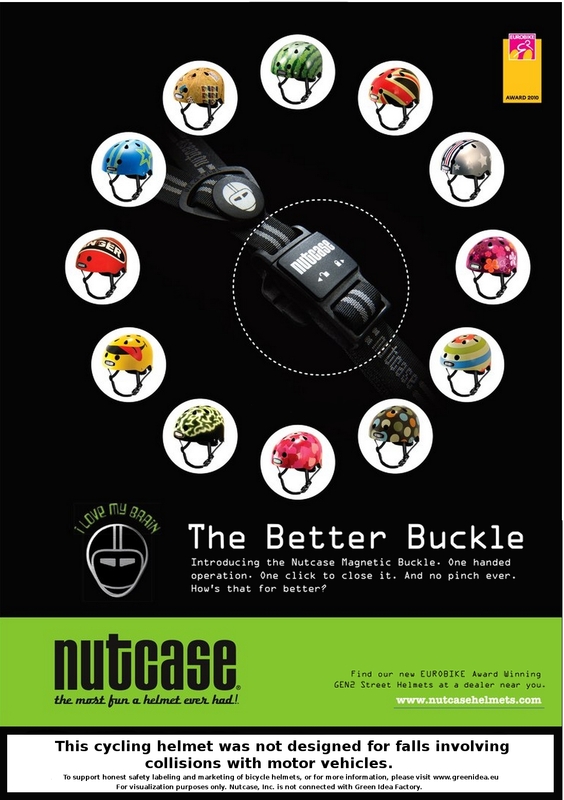 6 The case for helmets is far from sound and advice to wear them should be limited. Individual choice should prevail so that no one is discouraged from cycling. Agreed. People should be made aware of the net zero benefit of helmet wearing, but obviously still be free to choose, like with any type of hat.